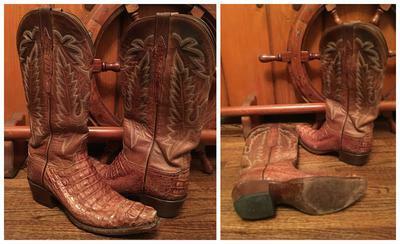 Beautiful Caymen Croc Lucchese boots looking for a new loving home. Also have a pair of Chocolate Stingray Lucchese and would offer a great deal if you wanted both! Still in very good condition - lightly worn. Contact me if interested! Administrator: Sorry, Rachel from LA didn´t include an email address or phone to contact her.